It's officially August 1st which means, it's time for the back-to-school season! Aside from all the new notebooks, pencils, and agendas that everyone will be getting, another thing to consider for back to school ( especially for all of us university and college students moving into dorms or off-campus) are room essentials and decor items. Now that I am moving out of my university house, I thought that now would be a better time than any to show you my college room tour. Hopefully it will give you some inspiration when it comes to designing your room). 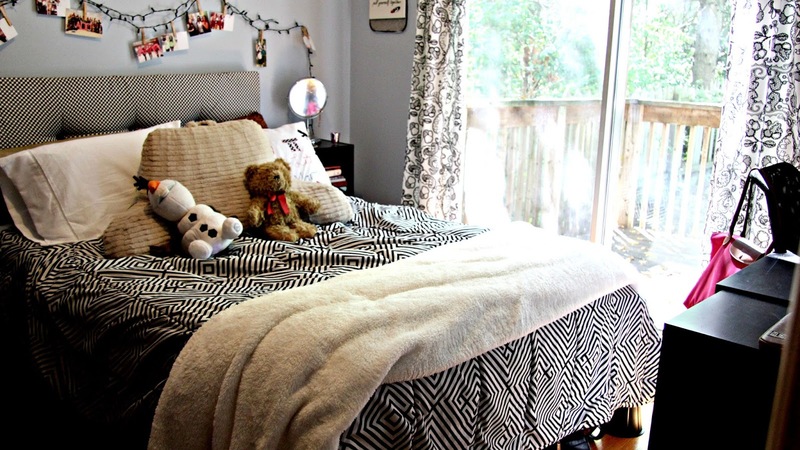 As a college/university student, between sleeping, studying and chillaxing, you'll most likely be spending a great amount of time in your room. Taking the time to style up your room, for me at least, made staying in my room (sometimes for hours on end of studying), a little more pleasant. I surprised myself this year with how many things that I could or at least that I thought I could, this summer. If you're new to my blog or haven't been following me on social media (which you should definitely be doing! ), let me catch you up to speed. 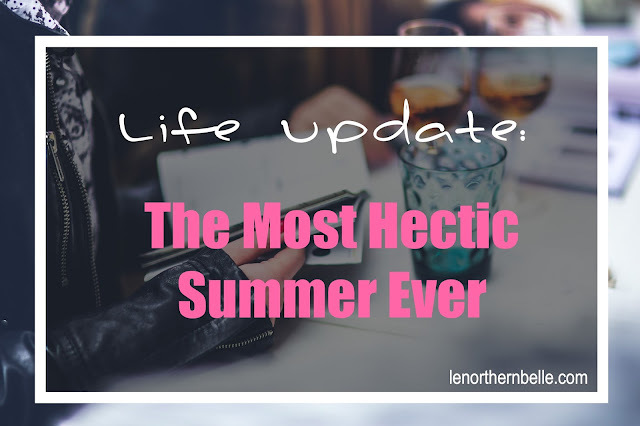 This summer, I knew that I would not be taking summer classes at the university because frankly, I had no reason to. I'm currently four classes away from graduating and have strategically placed those courses in my fall and winter terms. In not taking any classes over the summer months, I had no excuse to not have a summer job (that and I have many things to pay off and an exchange that I'm saving for). Between balancing two jobs and two internships, I thought I was prepared to pay off all my debts, save up for my exchange, maintain a decent social life and more importantly my health. Boy, was I seriously naïve! You've found the internship and you've handed in your application package. Within a few days, you get a phone call from a number that you don't really recognize (am I the only one who screens their calls for unrecognizable numbers?). You answer it and realize that it's the internship director you had sent your application to, a couple of days ago. Being the organized and proactive person you are, you already have your pen and paper ready to jot down important notes. Your interview is scheduled for next week... now what? Interviews can seem like a very intimidating process of the whole application process but until a better method of determining one's qualification can be discovered, interviews will be something we'll (sadly) have to do. 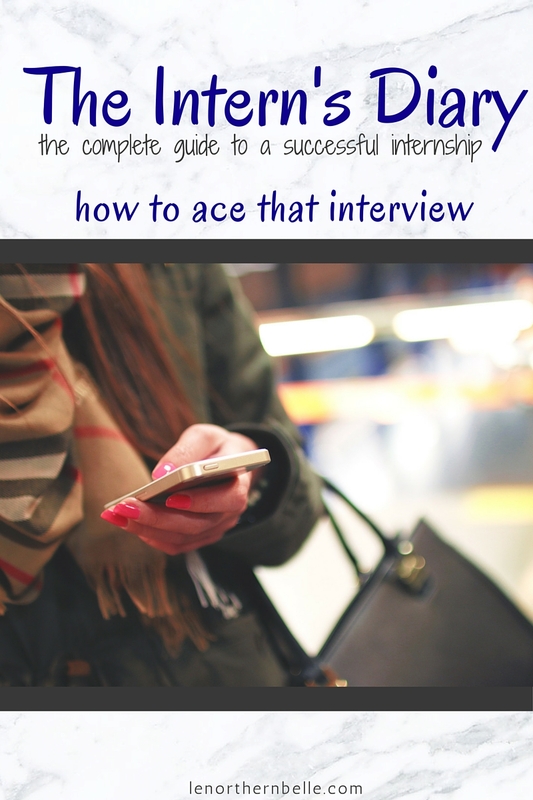 I like to think that I have been through my fair share of interviews, especially after this year, and each one has taught me something about how to interview. There may be some different/additional elements when interviewing for positions in other industries, but at its core, most interview elements stay consistent.